"What's wrong, sonny?" asked the old timer sympathetically, coming over to the little kid who was sitting on the curb, crying his heart out. "I'm crying 'cause I can't do what the big boys do!" 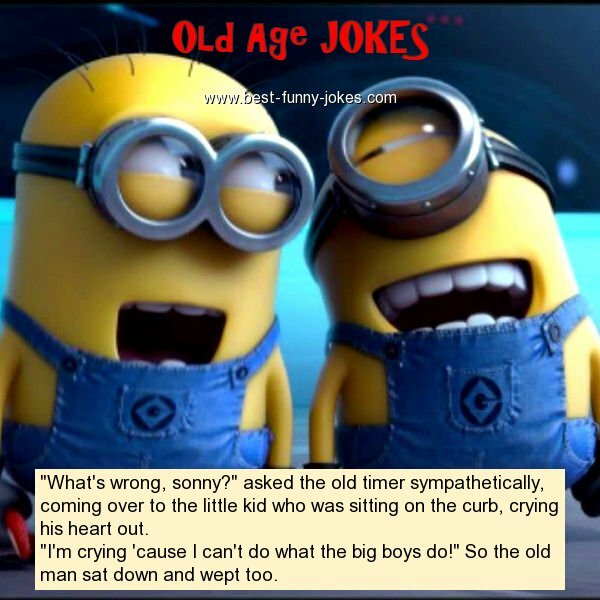 So the old man sat down and wept too.